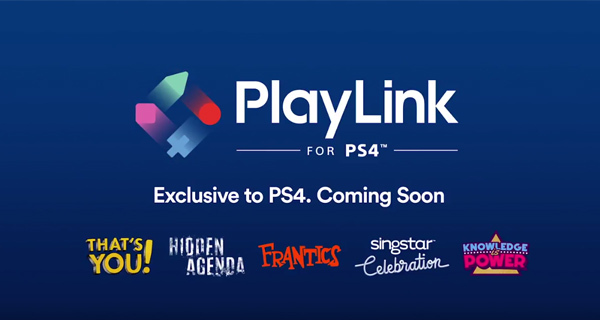 Sony has used the annual E3 conference to announce a new experience branded “PlayLink” that will offer a second screen and group play experience for those who want to use a mobile device in conjunction with the PlayStation 4. The new and innovative feature will not only allow gamers to play via the usual means, but also have the second-screen experience that will be designed to take advantage of the hardware capabilities of the mobile device. PlayLink combines your smartphone or tablet device, TV and PS4 console, with a collection of brand new games that take advantage of the smartphone or tablet device’s touchscreen and camera capabilities. PlayLink games turn your smartphone or tablet into a versatile controller – you can swipe, pinch, drag, tilt, rotate or even snap selfies and draw crafty doodles, depending on the game. No matter which title you choose from our PlayLink collection, it’s guaranteed to be a slick pick-up-and-play experience. We don’t have real visibility on the type or number of games which will ship with PlayLink functionality, but we do know that the first title to support the new feature will be a comedy quiz game called That’s You!. Rather than being an expensive standalone purchase, That’s You! will be offered as a free-of-charge download via those who are subscribed to the company’s PlayStation Plus network. For those who may be interested in this type of multiplayer experience, Sony has also announced a number of other games including Hidden Agenda, Knowledge is Power, Frantics, and SingStar Celebration. The initial PlayLink comedy quiz game will be offered to PlayStation Plus subscribers from July 4th, with the other mentioned games filtering out into the market throughout the rest of the year.